The White Road... - Liz Loves Books.Com. I loved this whilst being inordinately disturbed by it – you know those times where you read something or watch something and it plays on your mind for days even weeks afterwards, leaving you feeling slightly perturbed for no reason you can put your finger on. I’m a fan of books that do that – means they really have gotten under your skin. 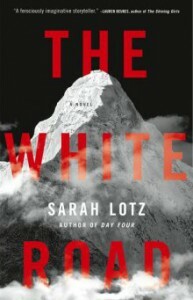 So with “The White Road” then, Sarah Lotz gives us a kind of a ghost story, with an edge of horror and a side of creepy “look behind you” vibe. Simon is not particularly likeable and falls into things – after a caving expedition goes awry he finds himself somewhat of a You Tube superstar. Trying to cash in on that his friend sends him off to climb Everest – the narrative jumps between Simon and Juliet, a previous climber, its not until much later that their two stories come together. Sarah Lotz as she always does writes with an atmospheric, darkly twisted tone that just gets right to the heart of things. I shivered my way through this, I was living on that mountain with Simon and with Juliet – I couldn’t look away and the night in between the two days I read this over was full of those weirdly incoherent dreams that you only half remember when you awake. For me, that’s clever, beautiful writing right there. I don’t want to talk about the actual plot much – there are many levels I could dissect for you but let’s not do that – Just know that if you are a fan of creepy, intense and authentic feeling stories then The White Road will tick every box for you. 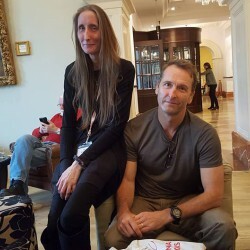 The author walks the line between the real and the imagined so beautifully, the mythology that she builds The White Road from – the third man factor – is enough to make you nervous to begin with. The tension and the sense of unease build inexorably over the course of the storytelling, the setting is wild and uncontrollable and that comes across brilliantly. By the end, an end that haunts, I was so involved that it was hard to leave behind. The White Road is chilling, in more ways than one, it is also intelligent, wonderfully written and has an enigmatic, mysterious other sense about it that will dig deep into your consciousness. From the opening claustrophobic and downright scary set up to the strangely even more claustrophobic mountain, you will get hook line and sinkered into this one – when a novel literally heightens all your senses as you read it you know you’ve got a good one.